如要退出收订网站消息，请自己将家庭账户删除，网站管理不处理邮件要求。If you want to unsubscribe to news from our web, please remove your account from our web. 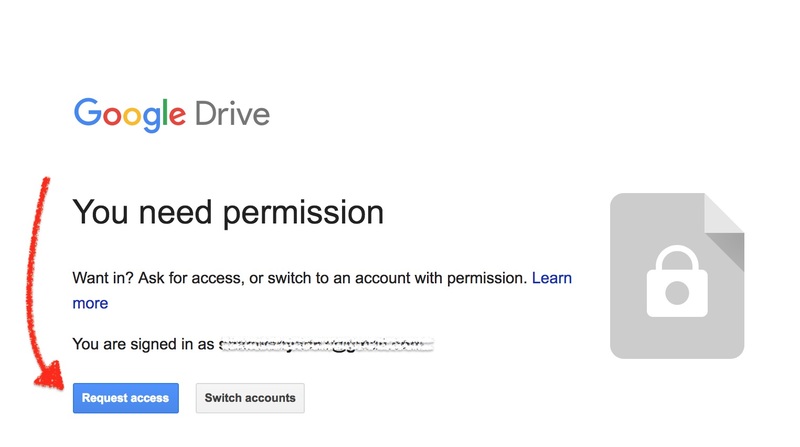 Web admin will ignore all email request for unsubscribe. 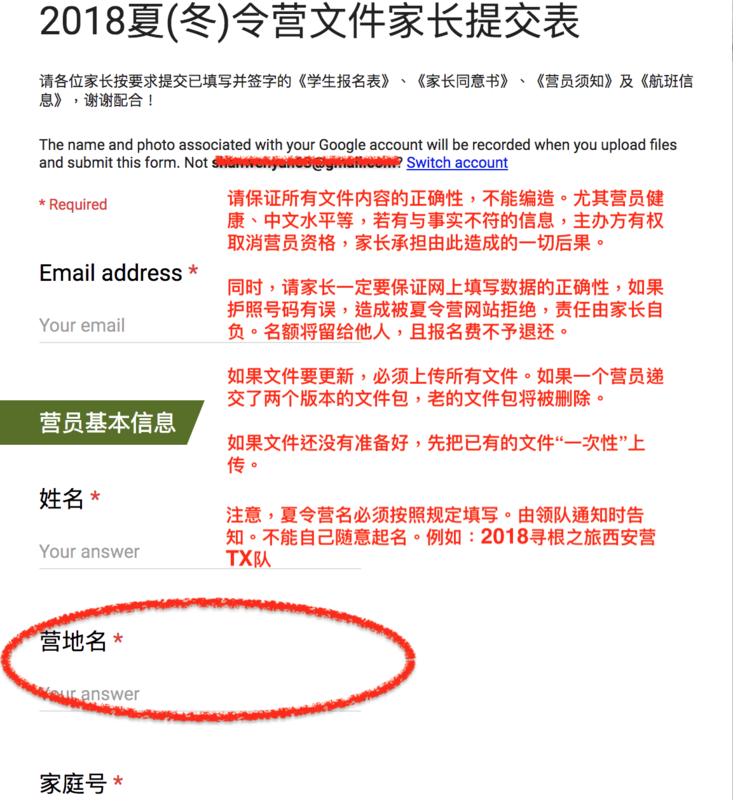 所有上传文件，请等待领队的通知和链接。For all forms/docs, please wait until you receive notice from chaperone about when and where to upload files. 请仔细读完所有规定。Please read all information listed in this web. 领队资格请参考FAQ网页，寻找chaperone领队。Please refer FAQ page if you are interested in being a chaperone. 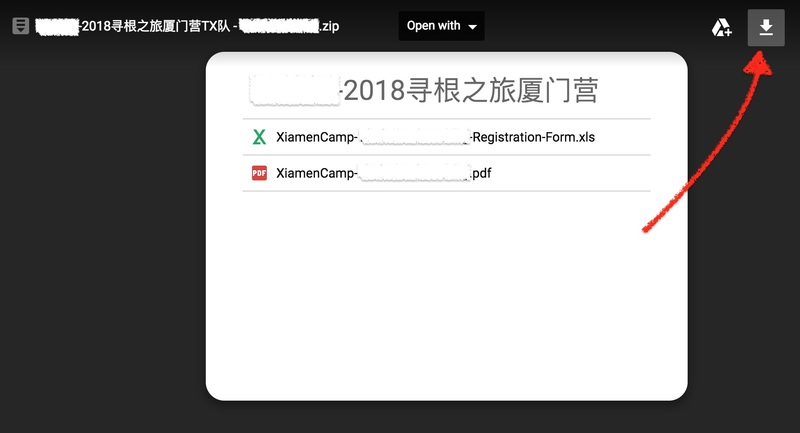 家长点击链接把所需文件上传。按网站FAQ（http://chinesesummercamp.org/node/356）中提供的文件，a) RegistrationForm b) MustSignByParent.doc c) MustSignByChaperon.doc d) MustSignByCamper.doc e) DetailStudentInformation f) Flight-Schedule。 《学生报名表》《家长同意书》《营员须知》《学生详细信息》《航班信息》请填写好存在一个zip文件中，其中航班信息可以等以后上传，可以在线填写，加照片和提交。请不要多次重复上传同一内容的文件。若有更新，请把文件重新打包上传。Please save Registration Form, MustSignByParent, MustSignByCamper, DetailStudentInformation, FlightSchedule in a zip file. FlightSchedule can be uploaded in future.